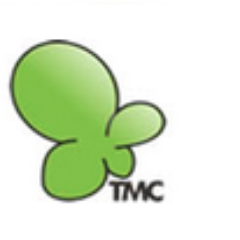 Toki Mabogunje and Co - An Organisation in Lagos is seeking a Marketing and Sales Individual who is ICT literate , hardworking, and of high integrity. Responsible for the support, training, best practice coaching and implementation process for all clients. He/She will collaborate with the company's sales support and product teams to ensure flawless execution of the support implementation process. He/She will execute support, deployments (implementations) and best practice coaching for clients, execute daily client support operations including responding to questions and following up on reported issues. Execute daily operations for assigned clients and implementations including schedules, time tracking, case and phone routing, health check delivery etc. He/She will also track support level and client satisfaction metrics; ensure the support SLAs are being achieved and exceeded; identify opportunities to improve product and client experience. He/She will conduct quality and product usage checks to ensure client and product satisfaction expectations are being met for clients and that a high level of service is being delivered; Develop and maintain project plans, issues logs, status reports, and time / budget reports. Minimum of 3 years experience in a customer service support role. Strong organisational skills with the ability to effectively manage all activities, projects, requests, documentation, timelines etc.